Hurricane Michael entered the Florida Panhandle as a strong category 4 storm, and catastrophic damage is expected. Not only will there be long-term power outages and flooding, but the wind damage and driven rain flowing into to condos along the coast could prove extremely costly. Michael visited the Emerald Coast today, and it was not a tourist that they wanted in the area. The maximum wind speed was 155mph, just 2 miles shy of a category 5. This hurricane was the strongest storm ever to hit this area in recorded history, and also the strongest to hit the continental US during October. 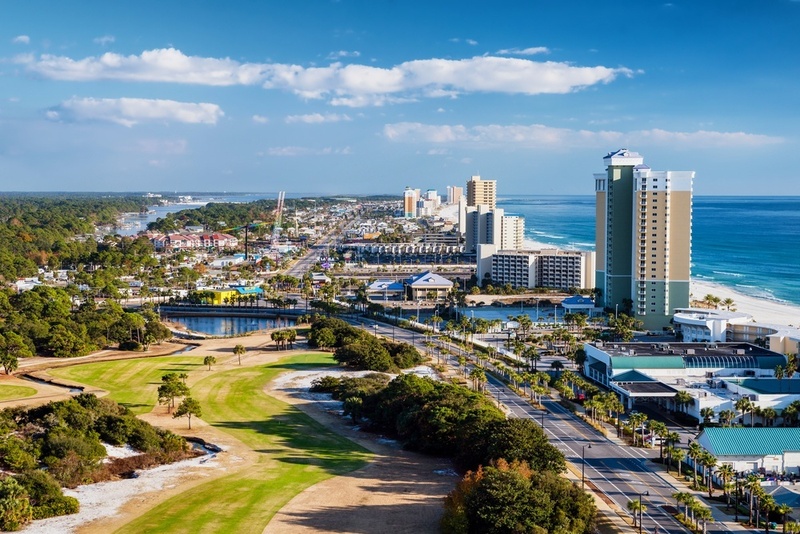 Unfortunately, Hurricane Michael made landfall just after noon between the picturesque city of Panama City and Mexico Beach to the east. This line of condos, shopping areas, and golf courses are all very close, if not at, sea level, as are many more along the coast. High rise buildings are more at risk due to winds being stronger with height. Videos and images show storm surge inundating beachfront buildings, roofs peeling off buildings, and fallen trees. 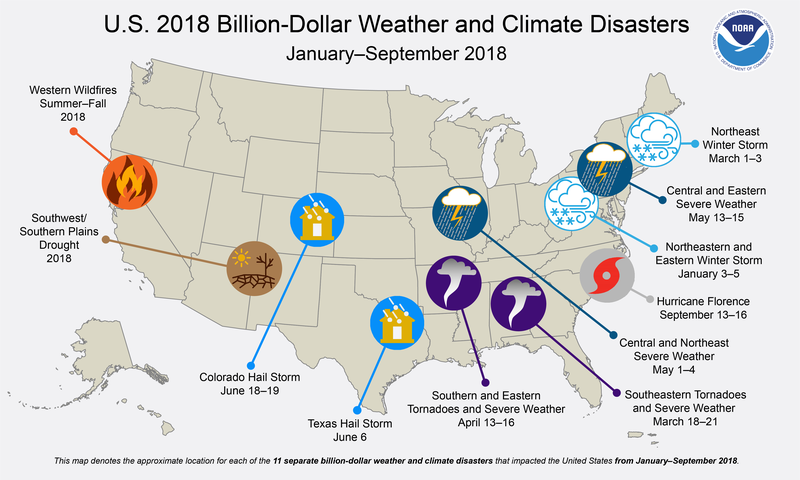 So far this year, the US has already experienced 11 billion-dollar weather and climate disasters. From wildfires to drought to severe storms; it has been quite a year. The most recent major disaster was Hurricane Florence, and damage amounts are still being calculated. With Hurricane Michael striking the Florida coast, we can expect this storm to become number 12 on this list. 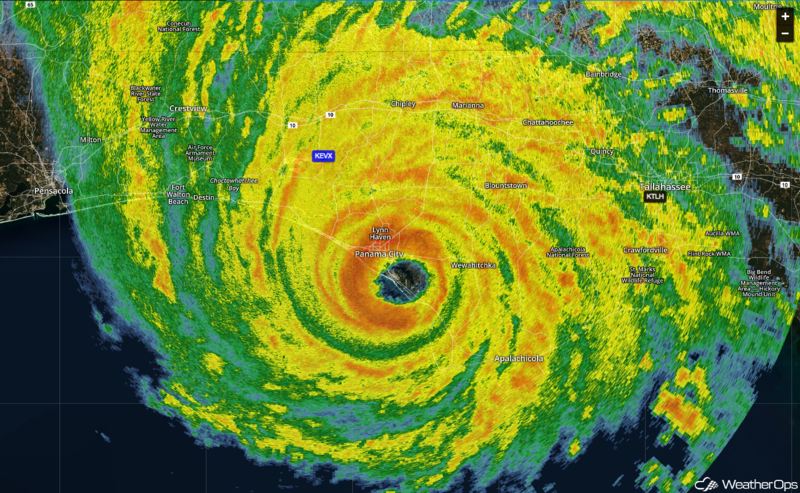 Panama City was on the western edge of the eye of this hurricane as it made landfall near noon local time. Located in Bay County, Florida, this area has seen unprecedented growth in recent years. Condos, residential homes, and commercial property have all increased in value by nearly 8%. Along with this have come new roads, hospitals, and businesses to meet the demand of a growing population. 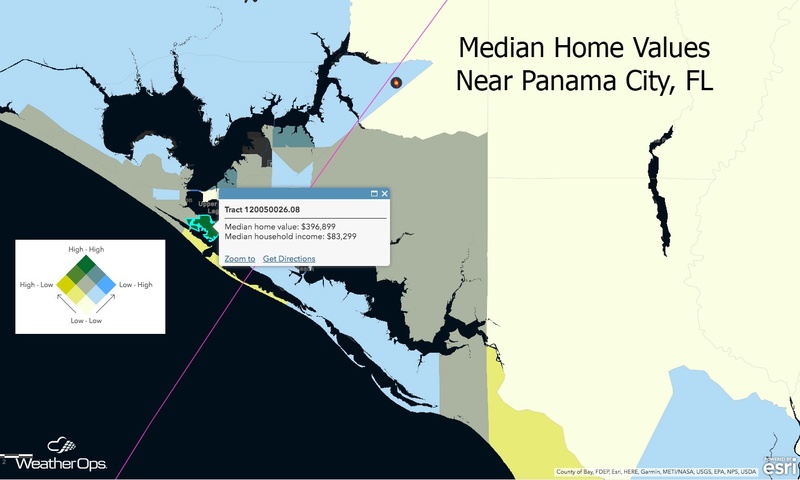 The image below shows median home values approaching $400,000 within the path of Michael. Many buildings and homes on the coast may end up as the one seen in this video. At the time of this blog, over a quarter of a million customers were without power, and storm surge was still occurring as the storm continued to make its way inland. It will be some time before the full effects of this hurricane are seen. Damage will continue as the system moves across Alabama, Georgia, and the Carolinas. Confidence is strong that we will soon see this storm added to the official billion-dollar graphic for 2018.